Rachel Dolezal has admitted to filing numerous police reports as the victim of threats and hate crimes. She told officers she believed letters received in the NAACP PO Box were threats directed at her and her sons. When Dolezal reported a letter sent to her in March, it was the ninth hate crime in less than a decade for her. A police report filed in March questioned how hate mail ended up in the PO Box for the Spokane chapter of the NAACP. On Wednesday, the Spokane Police Department released an eleven page report into their findings thus far. Spokane NAACP President Rachel Dolezal claimed she found an envelope with pictures of lynchings and references to local cases concerning race in March. Security cameras at the Rosewood Post Office were not working at the time the letter was received according to the police report. But police said they have ruled out postal employees as suspects. Rachel Dolezal said she does not believe anyone within the NAACP could be responsible. Forensic specialists processed the mail in question. They found numerous smudges according to the police report, and one partial print. Dolezal admitted to opening the letter. As of March 4, forensic specialists had planned to pull Dolezal’s print and compare it to the partial. Police are still processing the envelope as well as its contents for any clues to help identify who sent it. At the time she reported the letter, Dolezal told officers that most of these types of incidents were caused by people affiliated with right wing groups in our area. Representatives from the NAACP said that all mail sent to their PO Box has been automatically forwarded to their new location since it opened in January. But, Dolezal reported receiving the letter at the PO Box after that move. 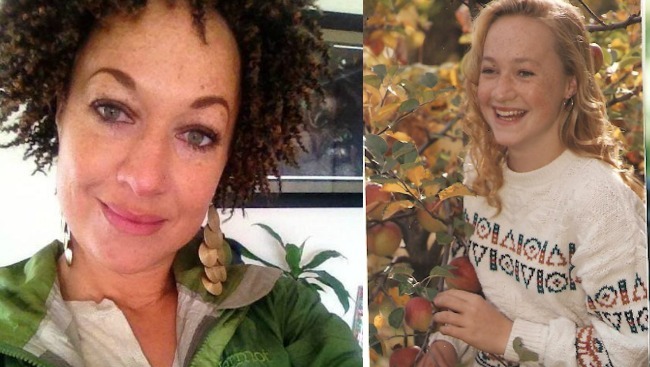 In May, Dolezal claimed she had received another racially charged letter. She said the latest one looked like it is from the same person. Dolezal said she wrapped the letter in a grocery bag to avoid getting fingerprints on it so it can be given to detectives. It also made reference to the first letter and was signed ‘War Pig’ according to Dolezal. She told officers that she had heard the term “War Pig” and she believed that they are a hate group associated with meth dealers and that they are violent, according to police records. The second letter was sent to the NAACP’s Downtown Spokane office.